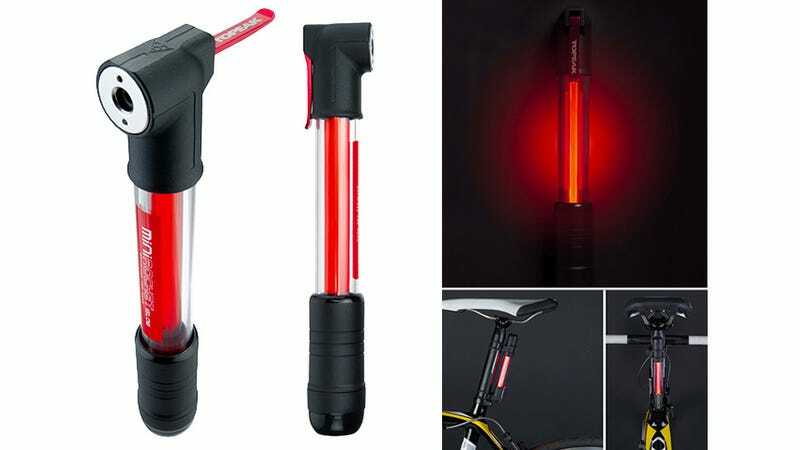 There's a reason that Topeak's MiniRocket iGlow bike bump won a 2013 Red Dot Design Award: the transparent barrel encases a internal optical fiber that turns a small red LED into a brilliantly-visible glowing safety strip. And at just 67 grams, it adds minimal weight to your bike's frame, so it's easy to always keep on hand. A pair of watch-sized batteries powers it continuously for up to 50 hours on its brightest setting, and 100 hours when dimmed.